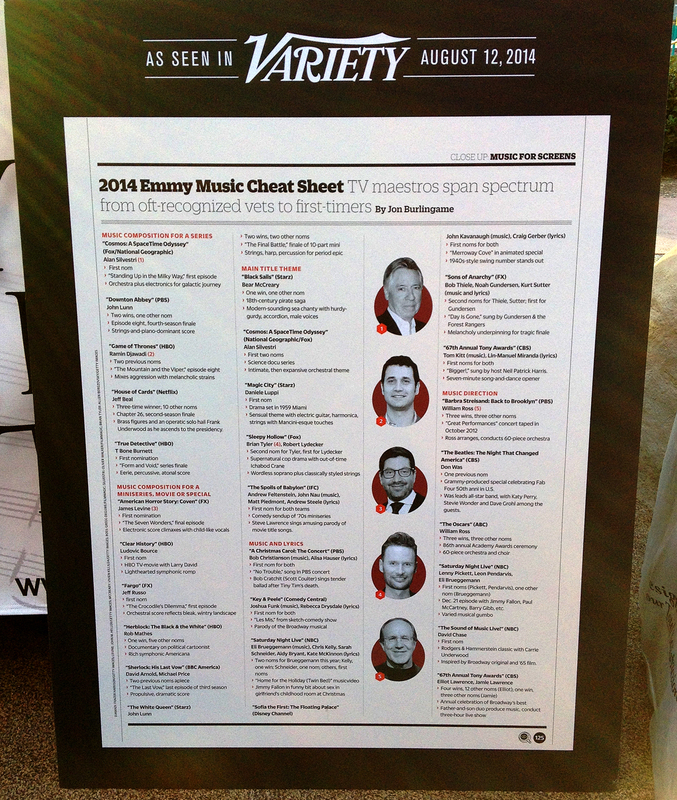 Every year I create a full-page chart for Variety that looks, in shorthand form, at all of the nominees in the five Emmy music categories. It never comes out well online — it’s designed to be a chart! And here is the original story I wrote after the nominees were announced July 10. This entry was posted in Composers, Television Music and tagged Society of Composers & Lyricists, Television Academy, Variety on August 15, 2014 by Jon Burlingame. Just what is the “music direction” category? There are five music categories at the Emmys. Four are pretty straight-ahead: music composition for a series; for a movie, miniseries or special; theme music; and song. The fifth is a little mysterious for many, so my editors at Variety asked for a story about it, and along the way I talked to several of the nominees. 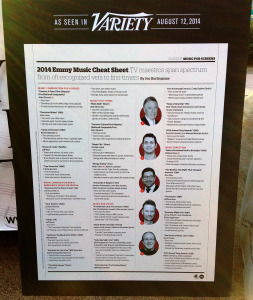 This entry was posted in Composers, Interviews, Television Music and tagged Emmy Awards, music direction, Variety on August 13, 2014 by Jon Burlingame.